The National Gallery of Victoria’s (NGV) garden will be transformed into a maze-like series of open-air passageways, corridors and rooms as part of the 2017 NGV Architecture Commission. Entitled Garden Wall, and designed by Retallack Thompson and Other Architects, the elegantly-designed structure comprises over 260 white walls clad in transparent woven mesh, which offer visitors the opportunity to rediscover NGV’s Grollo Equiset garden. Shifting in nature from translucent to opaque, the structure’s walls will simultaneously hide and reveal aspects of the garden, outdoor sculptures and even other visitors as each person navigates the 250 metres of carefully-designed pathways. Each of the enfenced ‘rooms’ frame particular features found in the garden, including Henry Moore’s bronze sculpture Draped Seated Woman, 1958, heightening visitors’ encounters with the artworks, furniture, trees and plantings that are circumferenced by the walls. Part landscape, part architecture, the visually-arresting Garden Wall was selected as the winning concept by the 2017 competition jury because it activated the NGV garden while also expanding upon traditional interpretations of what constitutes ‘architecture’ by exploring the function, culture and symbolism of walls and fences as architectural elements in contemporary society. 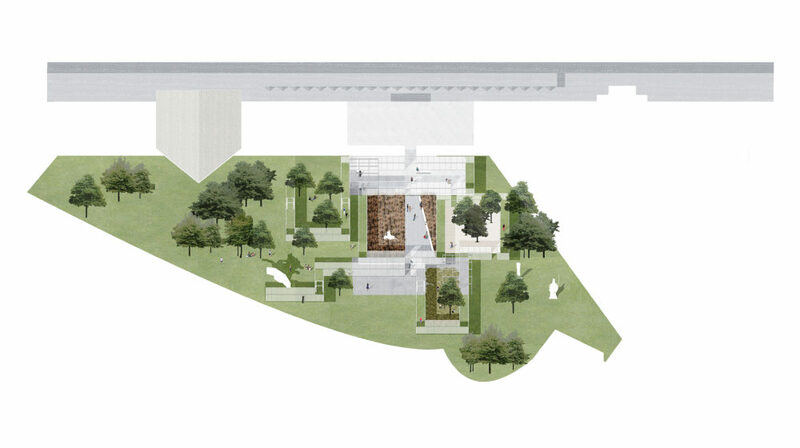 “In order to make the NGV garden more visible, we first have to render it invisible. Garden Wall hides the garden and then gradually reveals it via a series of corridors, apertures and rooms. Our installation is less the walls themselves than the spaces in between,” says David Neustein of Other Architects. “Through a simple yet sophisticated design, the architects of Garden Wall seek to ignite a conversation about increasing prevalence of walls, partitions and fences in our contemporary world and their impact on the movement of people around the globe,” says Tony Ellwood, director at NGV. 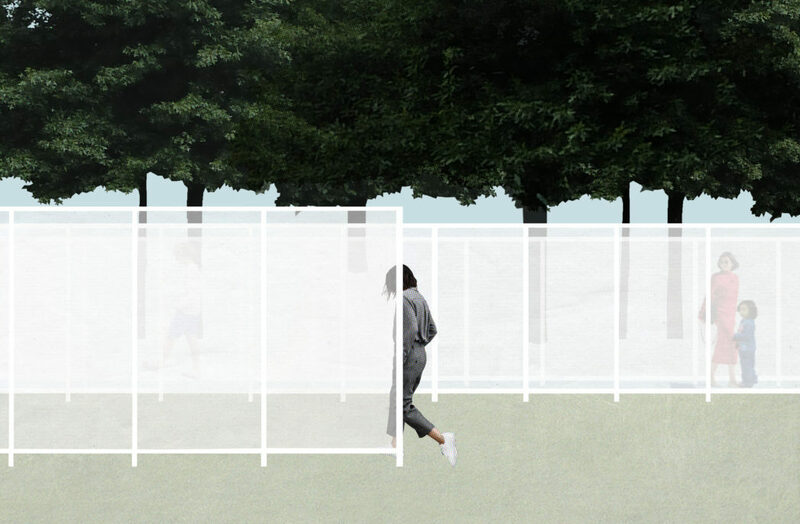 The commission is an annual open competition, which asks architects to consider innovative ways to activate the NGV garden with a thought-provoking work of temporary architecture. As the 2017 NGV Architecture Commission coincides with the inaugural NGV Triennial, a free gallery-wide exhibition of contemporary art and design from around the world, competitors were encouraged to explore the global and inter-disciplinary nature of architecture as a creative enterprise. 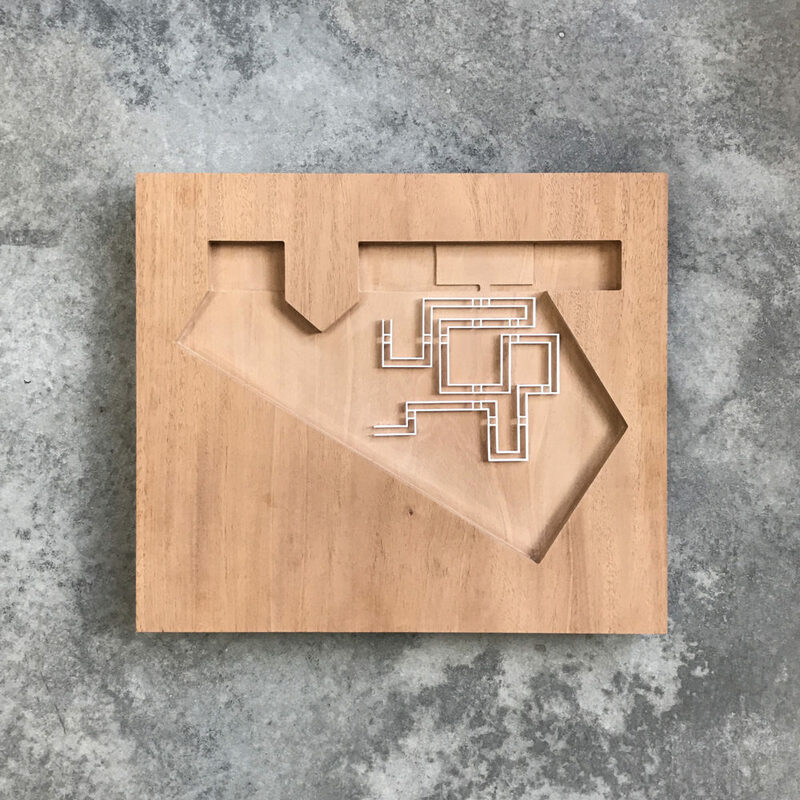 Conducted in two parts, stage one of the competition comprised an anonymous proposal round, from which five projects were shortlisted from an entry pool of 79 entries from across Australia. In stage two, the shortlisted entrants presented a resolved design proposal to the competition jury and were assessed on quality, originality and viability. Led by the Department of Contemporary Design and Architecture, the NGV Architecture Commission has previously been designed by John Wardle Architects (2015) and M@ STUDIO Architects (2016, which recently won the Melbourne Prize at the 2017 Victorian Architecture Awards). The NGV Architecture Commission Design Competition process is developed and delivered by CityLab. Images: NGV Architecture Commission 2017, Garden Wall. Concept sketch by Retallack Thompson and Other Architects in collaboration. See the designs for last year’s Architecture Commission by M@ STUDIO or 2015’s commission by John Wardle Architects.